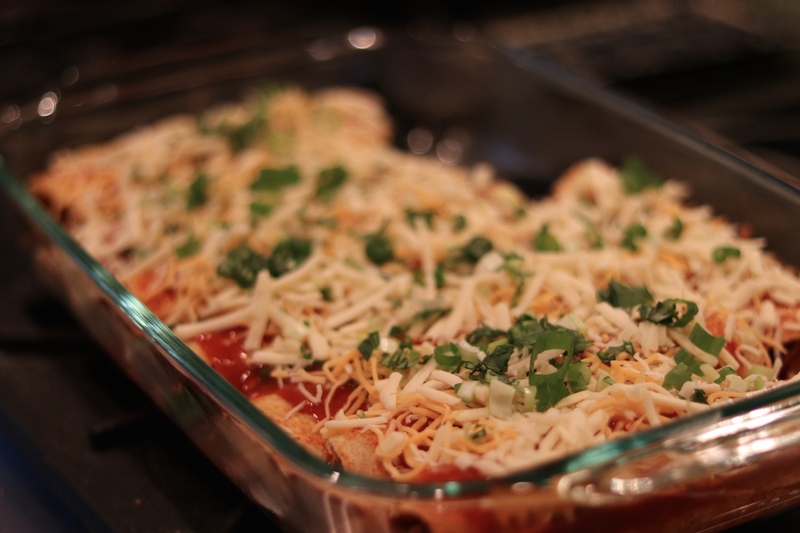 One of my favorite meals to eat is chicken enchiladas. Whenever I decide to make them it feels like I’m taking on a big project – but at the end I feel like it really isn’t all that bad. Bonus – the end result is amazing, and you have food for a few meals – and the best part!? You can totally freeze your enchiladas and they heat up so well for a quick dinner when you’re having a busy week! I seasoned the chicken with salt, pepper, cumin and paprika. Once it was cooked I put it on a plate and shredded it. As the chicken was cooking I cut up a yellow pepper and a red onion. After the chicken was done I started to sauté the veggies. Once you fill and roll the enchiladas they you just have to fit them into your pan, drizzle more sauce over them and top with fresh cilantro, cheese and scallions. Once you’ve put the toppings on you’re ready to bake the enchiladas. I put them in the 350 degree oven for 25 minutes. 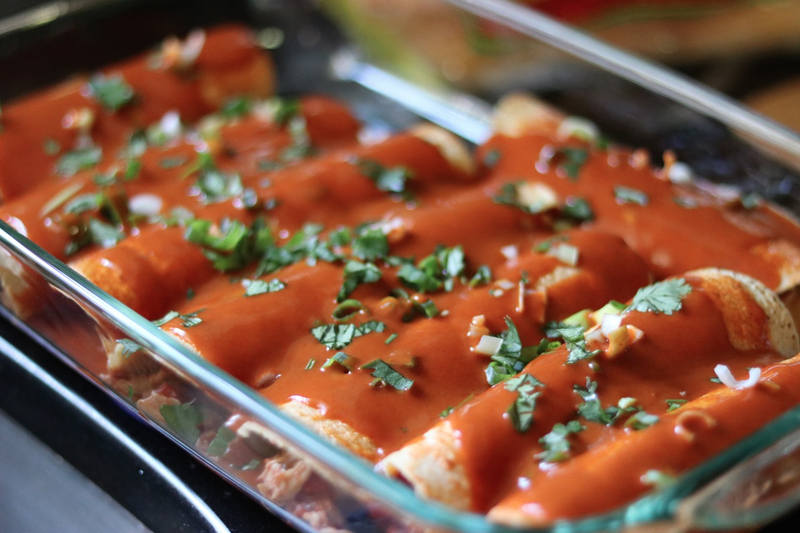 The end result is a bubbly, melty dish of amazing enchiladas. I usually serve my enchiladas with brown rice on the side, and salad as well. I topped my enchilada with a little more fresh cilantro and chopped scallions! SC and I enjoyed this meal for two nights and then we froze the rest. 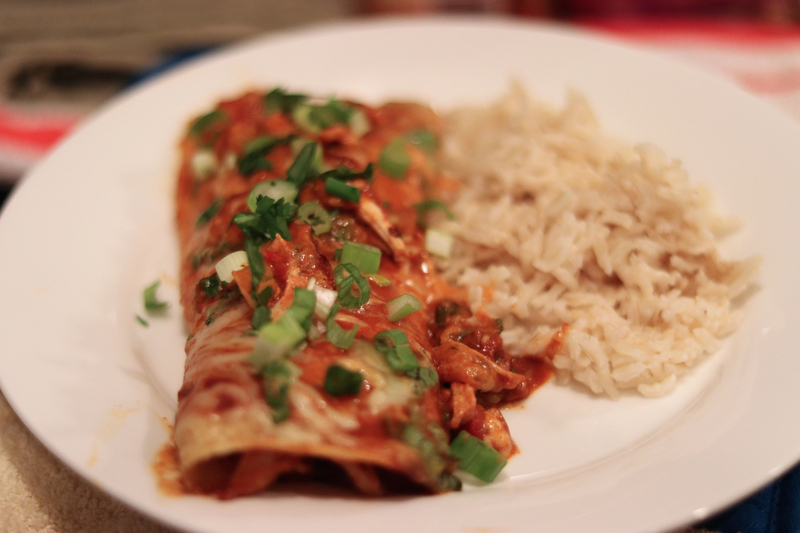 I was not sure how freezing the enchiladas would work – but they turned into the most amazing dinner a couple of weeks later. I can’t wait to make this meal again and freeze servings of it, too! This would be a great meal for a person cooking for themselves, especially because the enchiladas freeze so well. 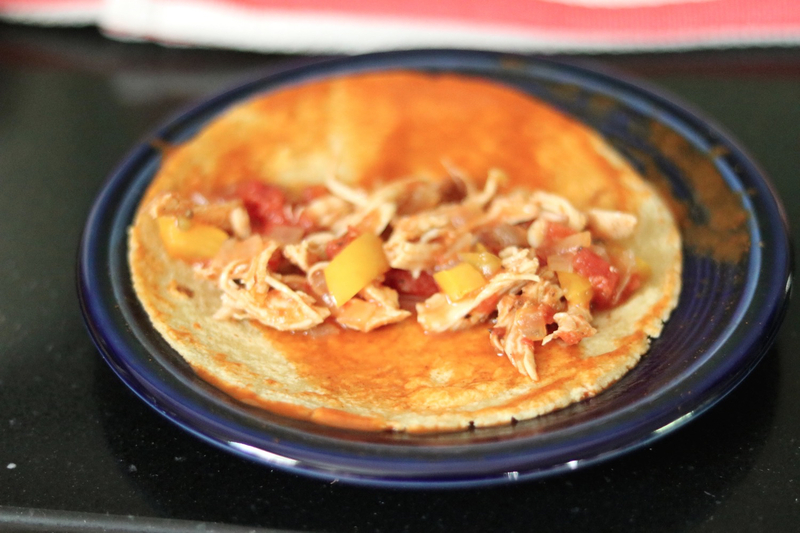 When we froze them, we put them in freezer bags – about two enchiladas at a time. This would be a perfect week night dinner for anyone who doesn’t have a ton of time to cook during the work week!